For almost 30 years Homegrown Video has captured the best amateur footage. 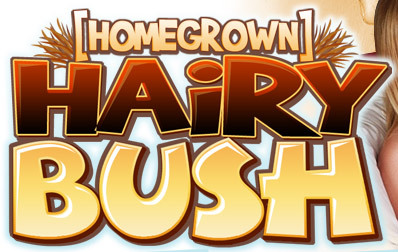 We've combined our knowledge of amateurs with our passion for the hairy fetish to create Homegrown Hairy Bush! Inside our members only archive, you will get access to our entire library of hairy bush girls! As a bonus, you'll also get access to every other video and photo set that Homegrown Video Owns! OUR AMATEUR LIBRARY FEATURES SOME OF THE HOTTEST HAIRY PUSSIES! ARE YOU READY TO JUMP INTO THE BUSH? OUR HAIRY AMATEURS ARE WAITING! OUR HAIRY AMATEUR GIRLS ARE SOME OF THE BEST AROUND! SEE THEM ALL! WE HAVE A LARGE ARCHIVE OF HAIRY GIRLS! ENJOY THEM ALL INSIDE!